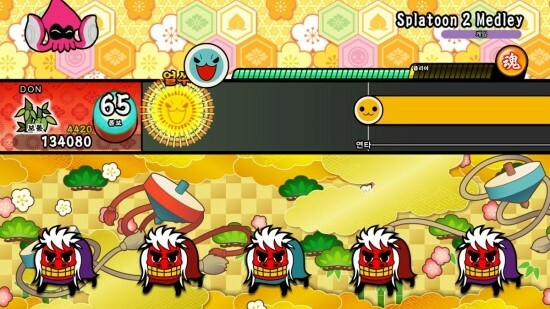 Taiko no Tatsujin: Nintendo Switch Version, launching this Thursday in Japan, supports multiple control schemes. Besides Joy-Con button controls, Joy-Con motion controls, and Drum controls, Taiko no Tatsujin Switch is playable with the touch screen. When playing with the touch screen, a drum appears in the bottom middle section of the screen. You play by tapping both of your fingers. Taiko no Tatsujin: Nintendo Switch Version and the drum controller are available for pre-order on Amazon Japan.